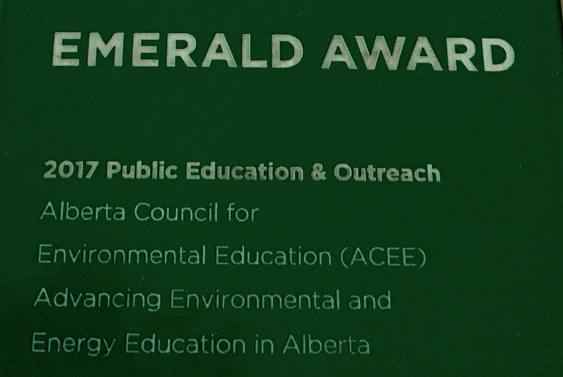 The Alberta Council for Environmental Education conducted a robust poll of 801 Alberta adults in 2009; and a similarly robust poll of 459 Alberta youth in 2010. The results from the poll of 459 Alberta high school students and older youth (ages 18 to 24), indicated that youths’ knowledge of environmental action—and their reported level of participation in public action—is markedly low. Further, the majority of youth were not interested in traditional approaches, such as presenting to politicians, participating in public meetings or debates, or participating in petitions. In addition, youth engagement in most of the eight environmental behaviours assessed was moderate to low, and youth do not seem to have a strong drive or desire to take personal responsibility to protect the environment. Alberta youth ranked themselves least responsible out of six groups for looking after the environment in Alberta, and believe that government, industry and environmental groups are the most responsible. As 2019 approaches, ACEE will conduct a new poll to evaluate progress made in the last decade. You can find the full 2010 report by Ipsos Reid here, and the press release here.